Open data may be the key to solving several health issues in the near future, putting coders, data scientists, designers and entrepreneurs at the forefront of this revolution. We can't realistically expect to make major progress in combating health problems and disparities without a solid grasp of the underlying data about health conditions. Take the pressing issue of asthma. About 15 percent of California children have asthma, according to data from the California Health Interview Survey. That percentage has stayed stubbornly consistent over the past decade. 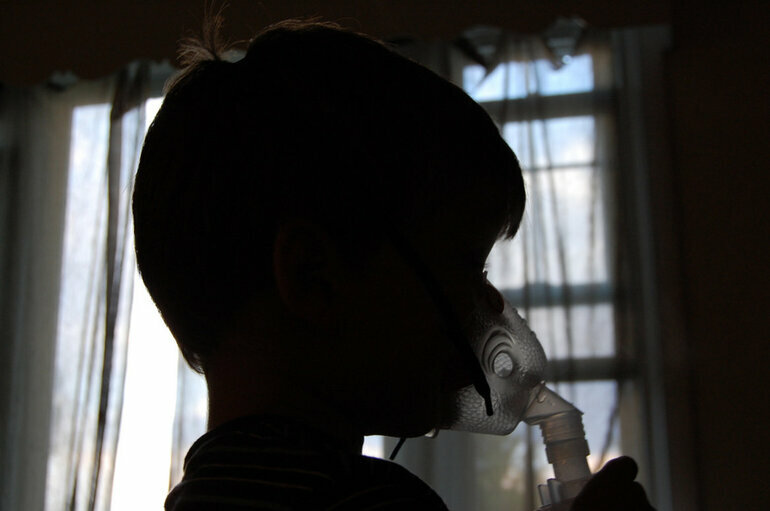 And there are counties in the Central Valley with rates of emergency room visits for childhood asthma that are double, sometimes triple, the rates in California's coastal regions. Until we know what's going on — and asthma is just one of many examples — we won't be armed with the information we need to act. Fortunately, we're beginning to make gains in California in opening up access to critical health information. This week's conference that Code for America is putting on in Oakland enables us to assess the work to date and to focus attention on what still needs to be done to publish data openly and then activate interest in their statewide use. A year ago, the California Health and Human Services Agency (CHHS) launched its Open Data Portal to improve access to non-confidential health data. This library of digital information has grown at an exponential rate to encompass data from nine state departments — more than 130 data sets in all. Over the last few years, we've learned what to do when government opens its data vaults. The familiar open data playbook, as popularized by local Code for America brigades, is to regularly convene teams of passionate civic technologists who crave open data published by cities. They use these data to power apps, visualizations and other innovations that address community-level needs. While such a partnership between government and civic technologists works well in a relatively intimate setting like a city, the concept breaks down at a state level. State government, particularly in a populous, sprawling place like California, typically has less capacity than a city to do the local-level outreach around the data it publishes. To make matters worse, local communities and locally focused civic technologists in particular are frequently unaware of valuable state data sets. So published data sets can languish in a kind of open data purgatory, available on a state portal but seldom used in innovative ways for the public good. That's why the California HealthCare Foundation partnered with CHHS to pilot a program of local health data ambassadors under the banner of theCalifornia Health Data project. They use community engagement to link the treasure in the state health data portal with the needs and passions of local communities. As hoped, we're beginning to see state data used to inform people locally. Take the asthma example. The Fresno Bee last spring published a four-part series on chronic disease among San Joaquin Valley residents, and it included an interactive map of asthma emergency room visits powered by data from the state's portal. Likewise, the team of Sacramento health data ambassadors just launched a compelling, informative data story that underscores asthma disparities across California. While these ambassadors are engaging their communities, the data bridge is structured to provide a two-way flow of information. On one side are data flowing to local communities, and in return the state receives users' insights and feedback. There are regular calls between the ambassadors and state health data leaders, as well as brown bag lunches to encourage interaction between communities and the state and to tout locally built products. State staff are now eager to hear from and work with the civic technologists and others who can help spread the knowledge. As a result, we're witnessing a state public health agency that has become more open, collaborative and innovative. So, while open data helps to encourage new, external use of data to create durable products, it also brings together teams of people inside and outside state agencies to build a more effective state government. We're on the first leg of this journey. It's one thing to create engaging apps and visualizations; it's another for these apps to be used for impact — raising public awareness of issues, shaping policies, and curbing unhealthy behaviors. Encouraging people to act on data is a different — and arguably bigger — challenge than simply using data to educate and inform. There's no reason California can't take the lead in parlaying data into action. Our state represents the essence of technological innovation, with many passionate civic technologists ready to experiment and build. And we have government at the state and local level not only freeing more data to help fuel this invention, but also engaging more with those outside government. So what do we need to do next to improve health in the state? We need to involve even more of California's talented corps of coders, data scientists, designers and entrepreneurs. They may not have the subject-matter expertise to do this alone, so these technologists and journalists can partner with health care providers, advocacy organizations, and others who understand the needs and the solutions. We need all of them to create data-infused apps, data journalism, and data visualizations that encourage real-world action to solve problems. Andrew Krackov is the associate director of external engagement for the California HealthCare Foundation. Michael Wilkening is the Undersecretary of the California Health and Human Services Agency. This article was originally published on TechWire.